Explore the complex and compelling relationships among languages, literature, and cultures. Engage in critical thinking and discussion with peers and faculty who will challenge your worldview, whether you’re debating gender theory or interpreting poetry. A highly personalized academic experience will allow you to cultivate an area of expertise with our tracks writing, teaching or literature. You’ll thrive in our small classes where your technical skills are sharpened and your creativity is magnified. Plus, close mentorships with your professors provide access to competitive internships and publishing opportunities. If you choose the teaching route, you will be prepared in the areas of classroom management and intercultural competence along with literature, writing, cultural studies and communication core studies. A diverse set of local schools will welcome you in and provide you with hands-on learning opportunities. Our students’ robust reading, writing and critical thinking skills serve them in many diverse career paths—in fact, recent grads have flourishing careers across industries like law, medicine, education and business. Our program proves that your love for language can help make you a marketable candidate for employment or postgraduate study. Your studies begin with two gateway courses: Advanced Composition & Rhetoric, which accelerates the development of high-end writing and editing skills; and Introduction to Literary Studies, which focuses on the formal concepts and professional practices foundational to English studies. 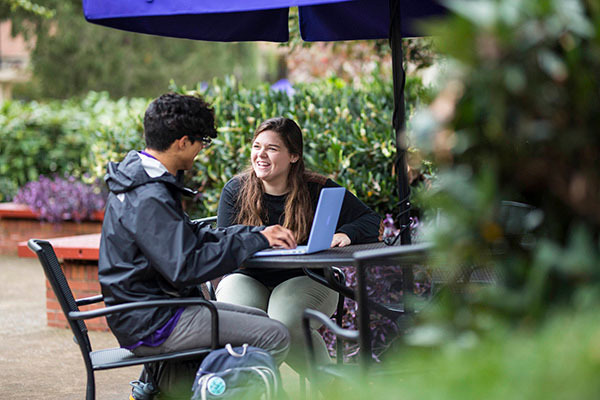 These courses will help you find community among your peers early on that will last throughout your time at Lipscomb. Regardless of your chosen track, you will survey at least two of the following literatures: American, British, and world. The coursework in the English Teaching program is designed to provide you with foundational literary and educational concepts, practical field experience, and a broad understanding of textual genres, historical periods, composition/rhetoric, and the cultural significance of relevant writers and their texts. The program also allows you to learn from on-site teachers in a diverse range of public and private schools in the Nashville area. The specific content areas for literature include surveys of American, British, and world literatures as well as more narrowly focused seminars, which prepare you for the required content you will be teaching. During your senior capstone course, you’ll put together a portfolio highlighting your best work from your time in the English program. Your English Major Portfolio will be a useful resource for graduate school applications or job interviews as a wide range of writing samples. Our students are also required to complete an internship—these provide invaluable professionalization opportunities that have frequently led to post-graduate job offers. English Teaching students earn 15 credit hours in a long-term field experience in a local school, with their last semester as a student teacher. Students also have the option of completing part of their student teaching in a foreign country.